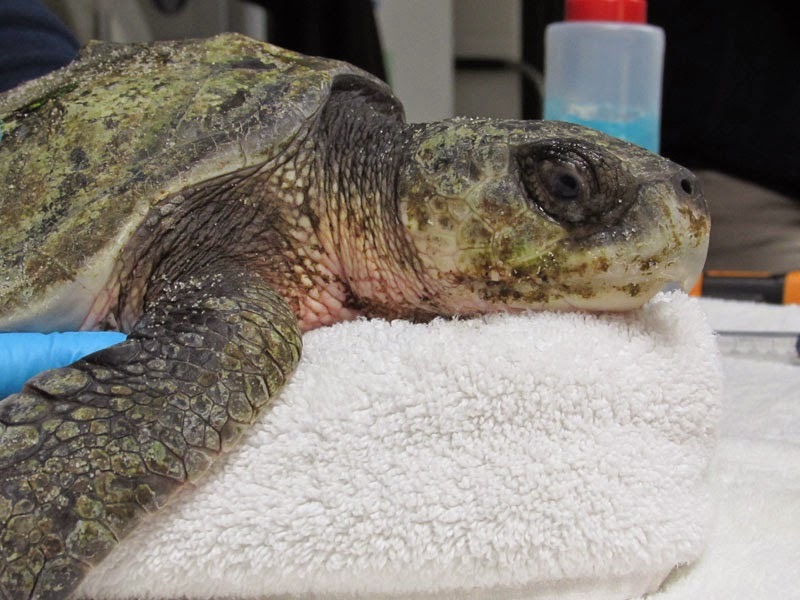 Our local sea turtle stranding tidalwave continues to pique the interest of folks around the country. 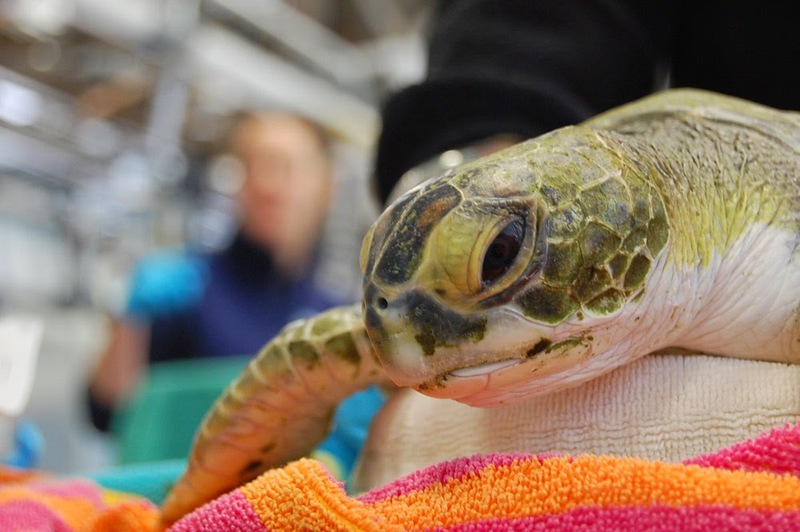 In these news stories, you'll find a lot of interesting information about the rescue efforts that take place down on Cape Cod, before the turtles even arrive at our facility. 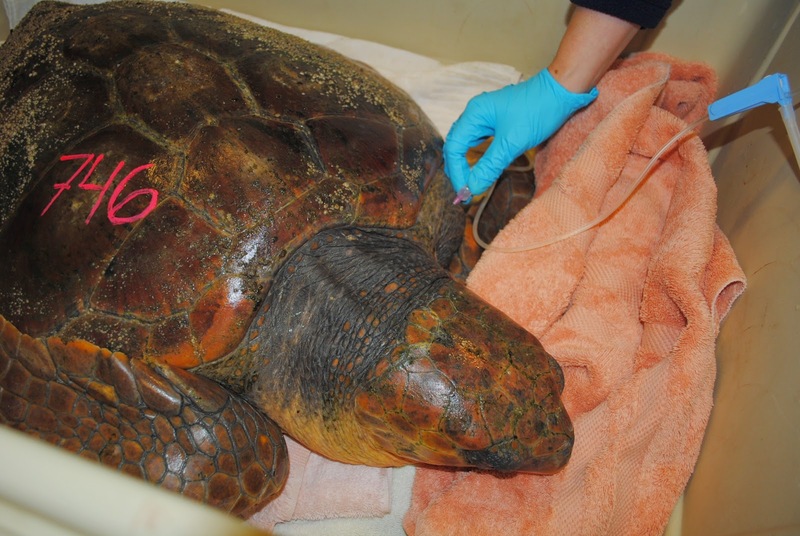 Beach walkers and triage by Mass Audubon is a critical step in the journey to recovery for these rescued sea turtles. 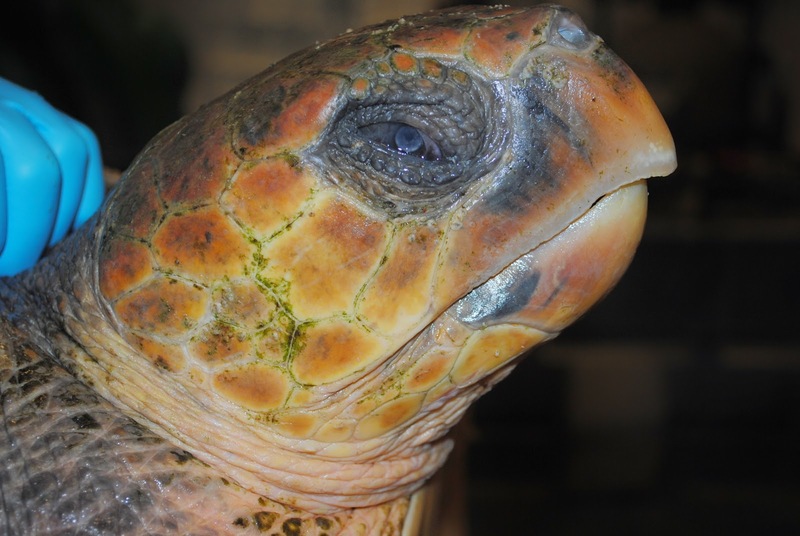 Some turtles have completed that journey and have returned to warm Florida waters. Safe travels, turtles! Thanks to Jenn Dittmar at National Aquarium for sharing this picture via Twitter. As of mid-December, more than 700 turtles have been treated at the Aquarium's Animal Care Center in Quincy. 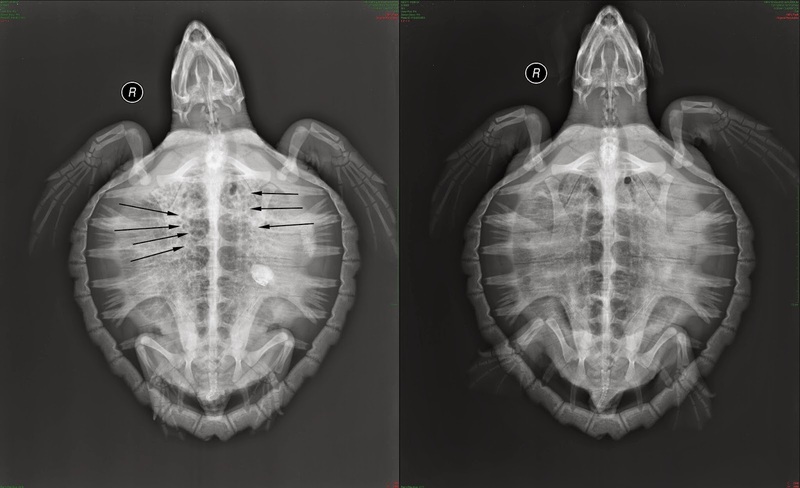 In order to make room for new patients, we've had to transport turtles to many facilities up and down the East Coast and Gulf Coast. This morning, we had a crew of dedicated staff and volunteers on the scene well before the sun came up. Each turtle needs to be gentle scooped up from their holding pen, given a quick checkup and then tucked into their transport banana box. Here's a look. 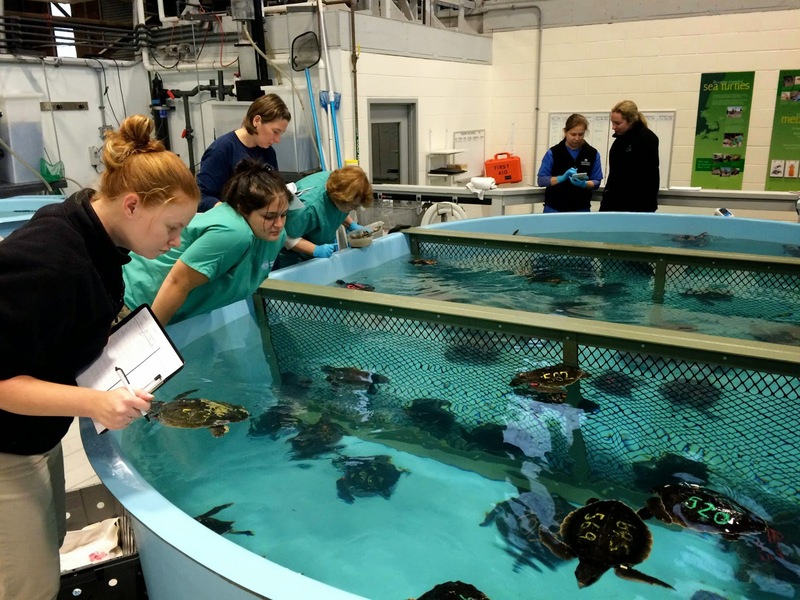 83 turtles headed south to Gulfport, Mississippi for the long months of rehabilitation ahead. That's thanks to another tremendous transport by the U.S. Coast Guard. Meanwhile, there are still more than 70 in the pens and pools at our facility. Stay tuned for more about the care that goes into nursing these animals back to health. 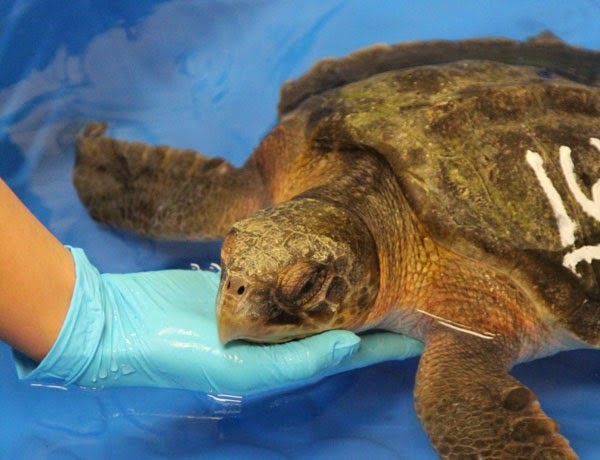 Every year, the New England Aquarium's Marine Animal Rescue Team rehabilitates critically endangered sea turtles and releases them back into the wild. Your support makes programs like this possible. 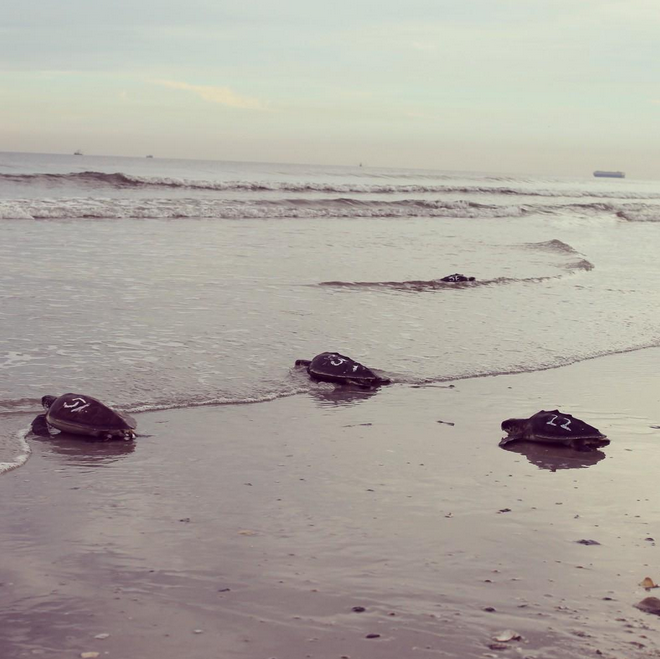 We are in the midst of an epic sea turtle stranding season right now. Take a look. 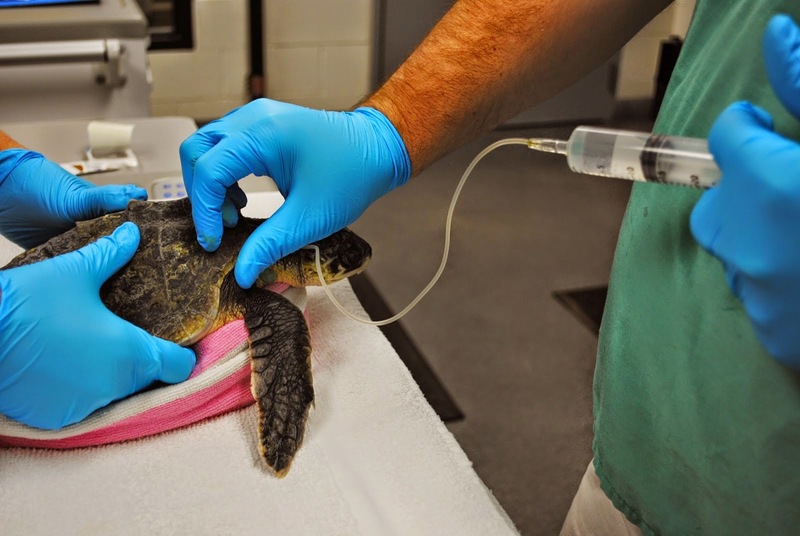 The Aquarium's Rescue Team has now treated more than 600 turtles at the Animal Care Center. That's nearly four times the number treated during our last record-breaking cold-stun season in 2012. Some of the healthier turtles seen in the video have been transported to other rescue facilities up and down the East Coast after being stabilized by Aquarium rescuers. This will make room for even more patients. Each turtle is in for several months of rehabilitation before being released back into the ocean. And still, the turtles keep arriving. Volunteers with our partners at Mass. Audubon are strolling the beaches looking for cold-stunned turtles that may have washed onto the beaches along Cape Cod. Those turtles are triaged at Mass Audubon in Wellfleet then transported down to the Animal Care Center in Quincy, Mass. sometimes need a helping hand to keep their heads above water. There's still a lot more turtle saving ahead. Stay tuned.